You know, sometimes there is truth in advertising! While some might question why a resort would name itself “Excellence”, we think it makes perfect sense in this case. 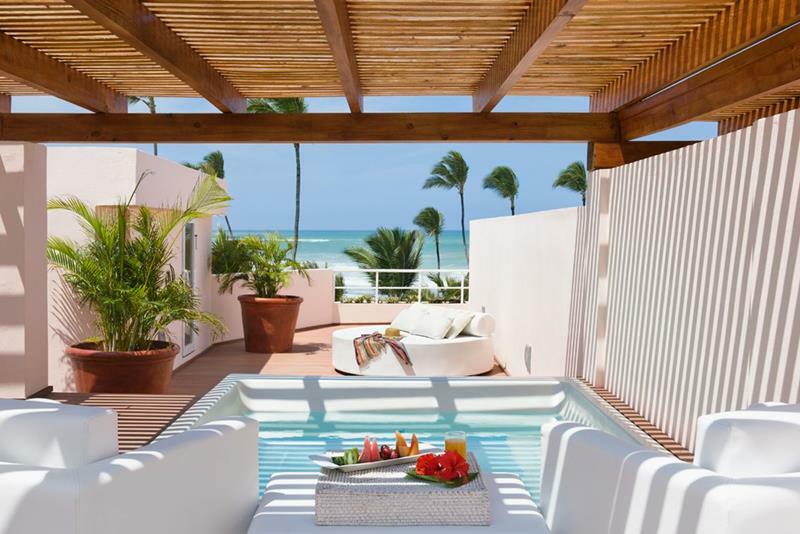 As it so happens, Excellence Punta Cana is one of the finest resorts in the world, continually ranked as such by travel experts annually. The secrets out on this all-inclusive resort, too, with travelers from the farthest reaches of the globe booking their luxury vacations here. 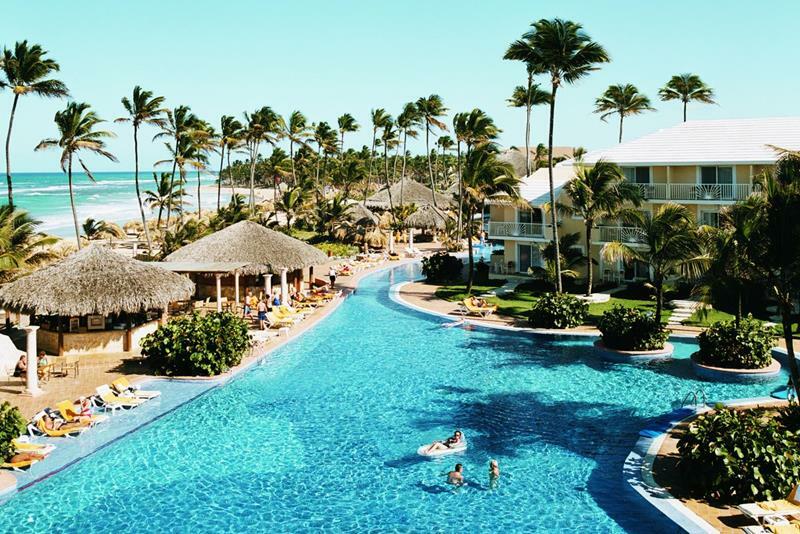 But, what makes Excellence Punta Cana so, well, excellent? That’s what we hope to show you. In the 23 photographs that follow, you’ll get an up-close look at this truly exceptional resort. What those pictures can’t show you, though, is how this resort takes the all-inclusive experience seriously. There are nine different restaurants to choose from, all the cocktails and soft drinks you can drink, and beachside and poolside service that’s attentive and punctual. With all that in mind, let’s take a look at the resort itself. 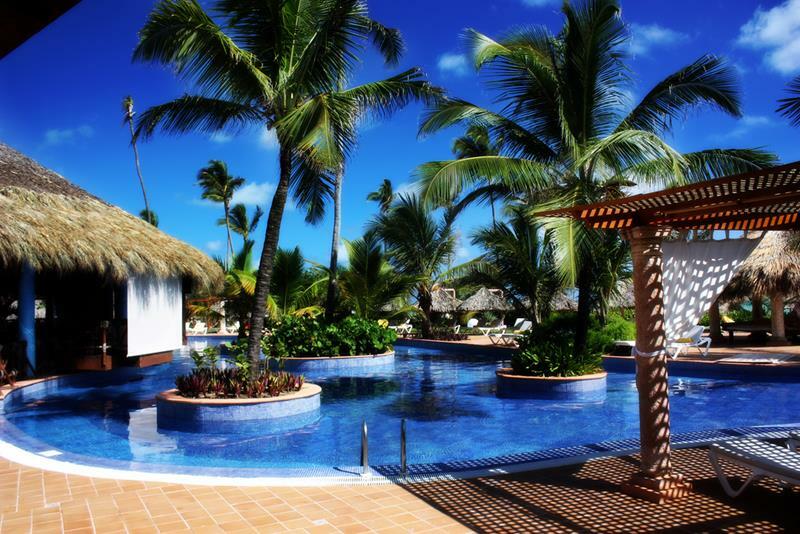 In the pictures that follow, we think you’ll see everything that makes Excellence Punta Cana so special. Maybe after you’ve taken a look, you might decided to do what so many other vacationers have done before you – book a stay here. Trust us when we tell you: it’s worth it. 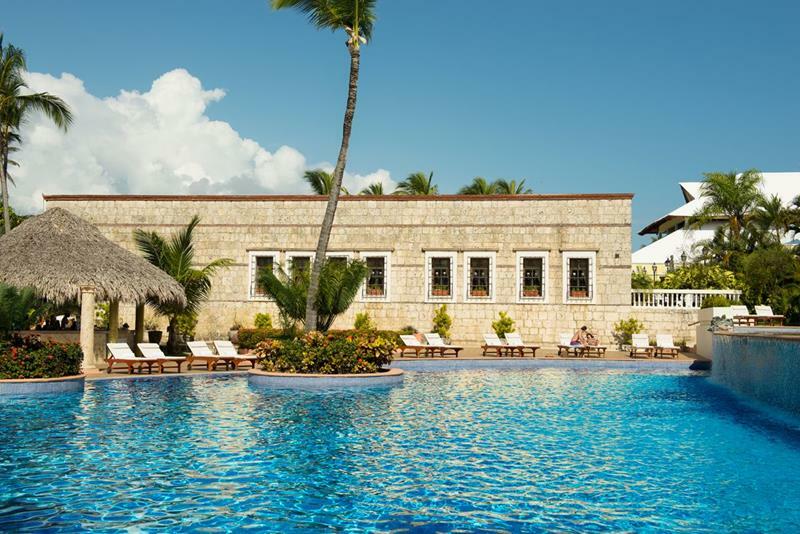 This all-inclusive takes being an all-inclusive seriously. The moment you set foot on the property, you’ll be tended to by the awesome staff. No matter what room you book or where you are on the grounds, you’ll find that this resort is simply immaculate. But, all the nice facilities in the world can’t equal the pristine beach the runs along this resorts property. You’ve got to walk it! 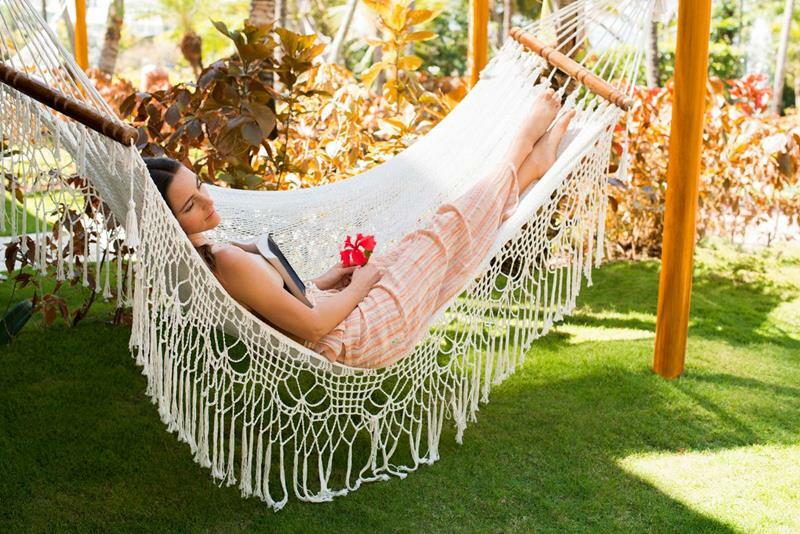 Once you’ve traipsed around a bit, why not set up shop on one of the sun-drenched day beds lining the beach? There are also plenty of cabanas located near the main pool, where a couple can kick back and relax. 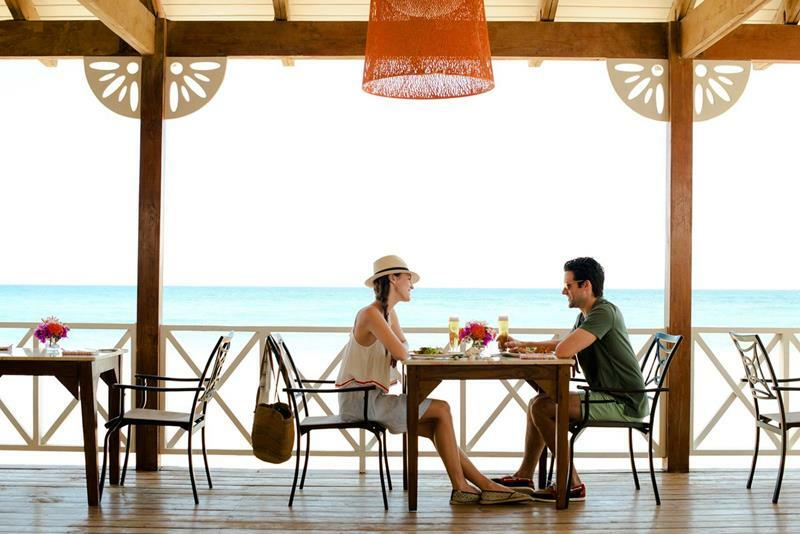 Or, if you simply can’t pry yourself away from the beach, then there are beachside cabanas to be enjoyed too! The staff is never very far away, which means you can get delicious tropical cocktails delivered to you right in the pool! Now, you’ve come to this resort to relax, so let’s get right down to the basics. You’ve absolutely got to visit the spa! Now, there’s still so much more to see and do at this amazing resort. Let’s look at some of the dining options! 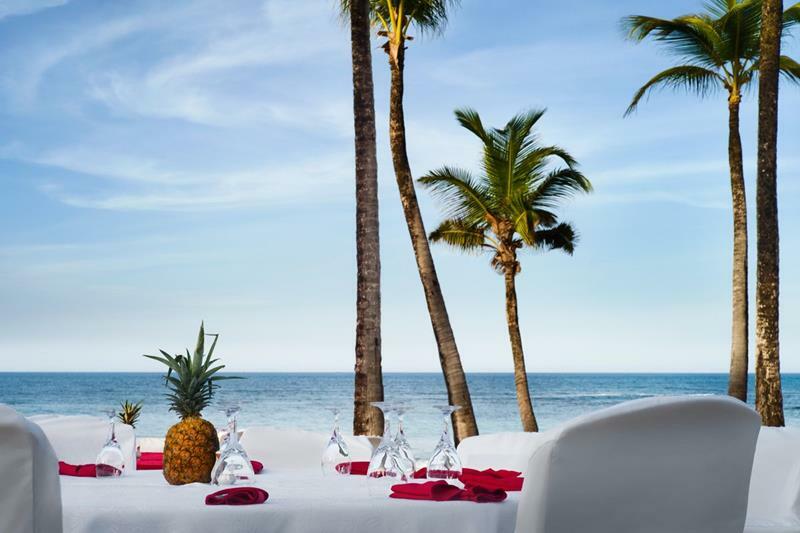 As mentioned, there are nine different restaurants at Excellence Punta Cana, each favoring a different regional cuisine. 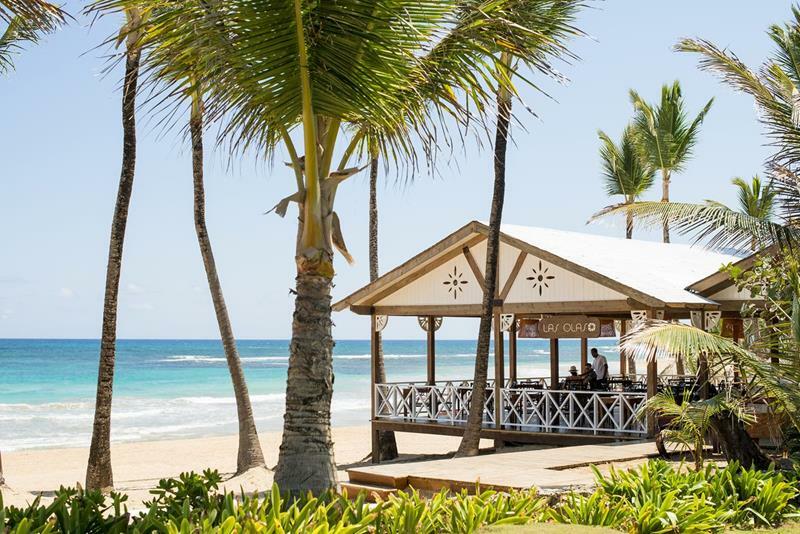 If you want the ultimate casual dining experience at this resort, though, you’ll want to pay a visit to the beachside restaurant! 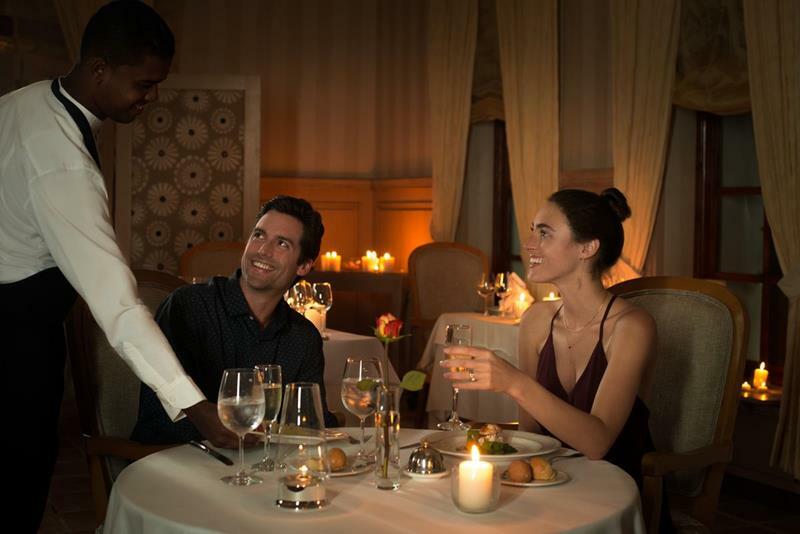 But, when you need to bring the romance, you’ll want to head to one of the more formal dining establishments. And when you absolutely, positively have to have the most romantic dinner imaginable… There’s this! Now, you may never want to leave the resort, and that’s understandable. 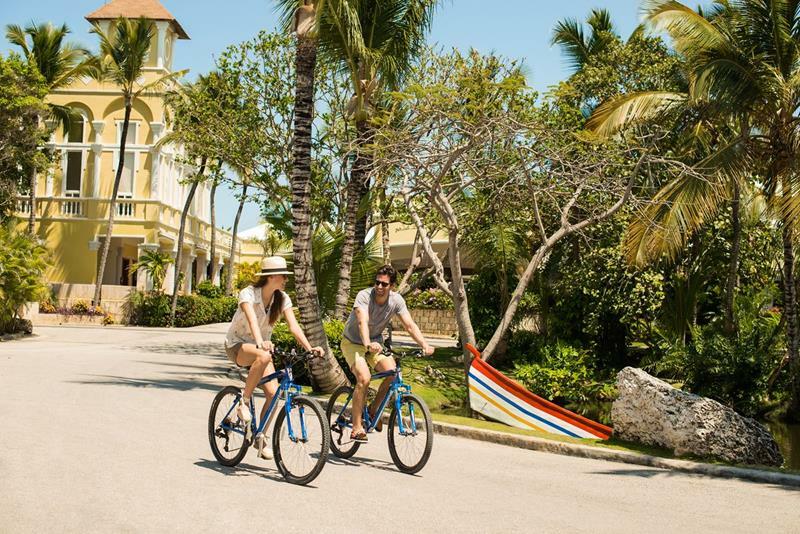 But we recommend taking the bikes out to explore a bit. It’s worth it! Or you could just chill out! That’s what this all-inclusive vacation is supposed to be for, right? For example, you could head back over the pool area, which you can see in full here. Beautiful, isn’t it? Or you could head off to one of the secluded hot tubs, either by yourself or with your honey. Of course, you’ll want to know about your accommodations at this resort. Well, they’re exceptional. 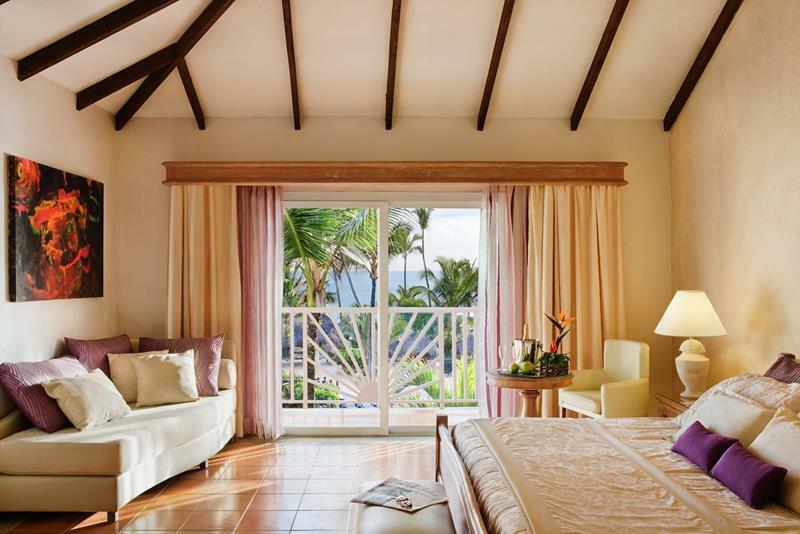 And get this: the resort only offers suites! Now, all the suites aren’t the same. Here, you’re looking at one that features a beautiful balcony overlooking the beach. 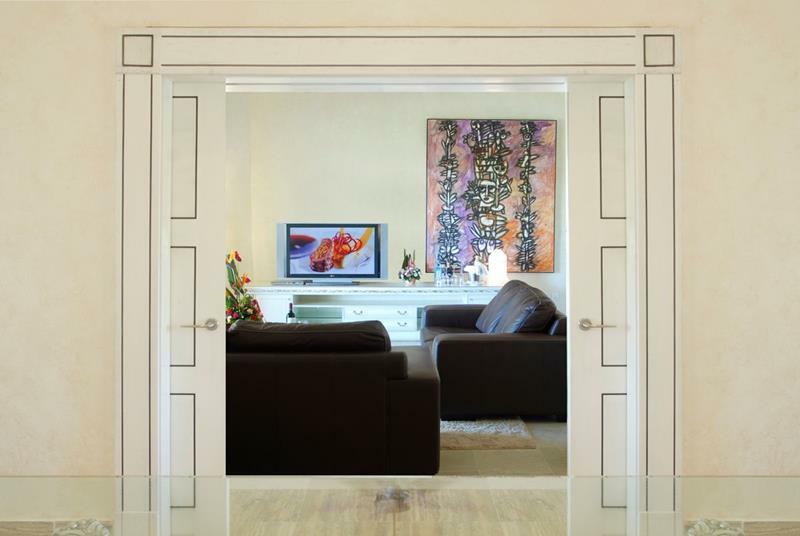 Other suites offer extra-private bedrooms like this. We think you know what that’s all about! 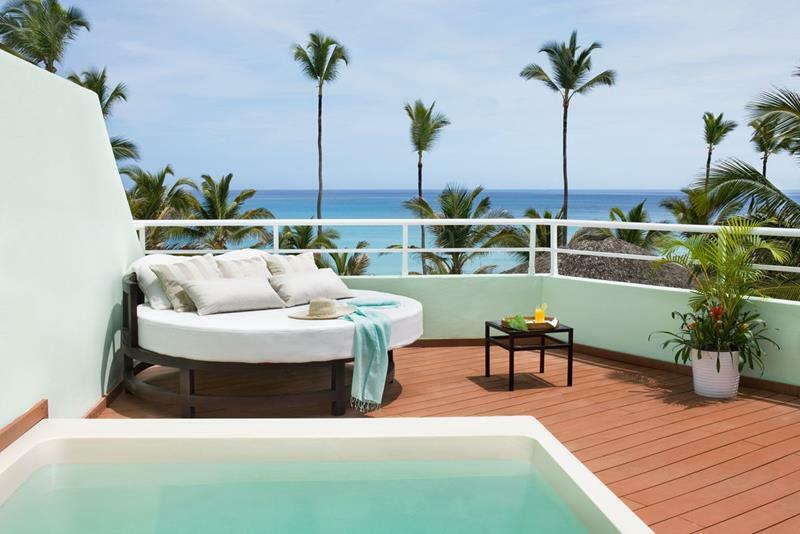 Now, one of the coolest features you can have for your suite is a balcony like this with a daybed and a hot tub. If you know anyone that’s looking into a honeymoon (or even a destination wedding), then let them know about this resort! 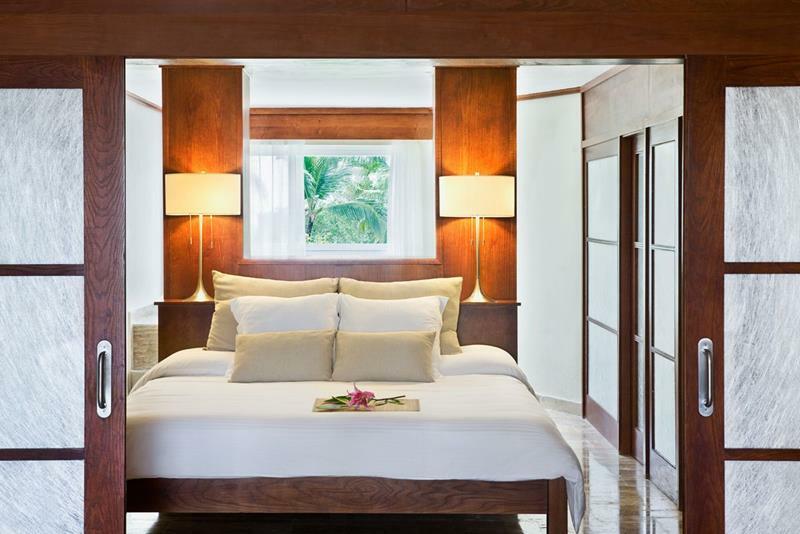 Well, now that you’ve seen Excellence Punta Cana for yourself, what do you think? Is it time to book that dream vacation (because you KNOW this resort is capable of offering it).